What’s happening to our planet? 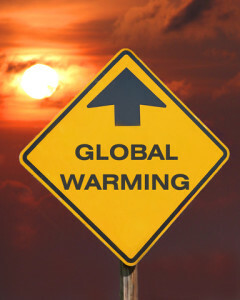 The temperature of the earth’s atmosphere is rising at an alarming rate and scientists agree that it is primarily due to human-produced greenhouse gases such as carbon dioxide, methane and nitrous oxide, which are released when fossil fuels are burned and extraneously released into the environment through production, transportation and accidents. They predict that global temperatures will continue to rise for decades. It is clear that so far we have substantially underestimated the problem. Climate change is occurring 10 to 100 times faster than in the past and eco-systems will find it hard to adjust. The polar ice sheets are melting 100 years ahead of the 2001 forecasts by the IPCC, the rate of sea-ice melt in the Arctic is 30 years ahead of the 2007 IPCC projections, and in May 2013 the level of carbon dioxide passed the long feared milestone of 400 parts per million which will accelerate climate change. To get a sense of just how serious this problem is, view the first installment of “Last Hours”, a mini-documentary by climate scientist Thorn Hartmann.